From the bestselling author of Just Remember to BreatheEveryone should have something to rebel against. Crank Wilson left his South Boston home at sixteen to start a punk band and burn out his rage at the world. Six years later, he's still at odds with his father, a Boston cop, and doesn't ever speak to his mother. The only relationship that really matters is with his younger brother, but watching out for Sean can be a full-time job. The one thing Crank wants in life is to be left the hell alone to write his music and drive his band to success. Julia Thompson left a secret behind in Beijing that exploded into scandal in Washington, DC, threatening her father's career and dominating her family's life. Now, in her senior year at Harvard, she's haunted by a voice from her past and refuses to ever lose control of her emotions again, especially when it comes to a guy. When Julia and Crank meet at an anti-war protest in Washington in the fall of 2002, the connection between them is so powerful it threatens to tear everything apart. 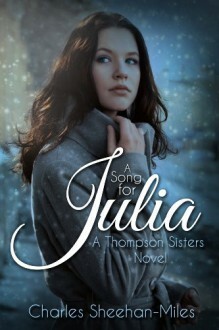 The Thompson SistersA Song for Julia is part of a series of novels centering around the Thompson sisters. Though the books center on the same family, they are standalone novels and can be read in any order.